DON’T MISS THIS SEPTEMBER’S MOVIE GUIDE! Wow, the summer went by so quickly, I can’t believe it is already time for fall movie releases. The fall always ushers in the best films of the year since the studios want to keep Oscar contending films fresh in Academy members and audiences minds. This month’s standouts are the release of “It” the second film based on a Stephen King novel in just two months, “Home Again” a wonderful romantic comedy and the latest in the Kingsman series, Kingsman: Golden Circle. Here are the best films to see this September and one you should definitely avoid! If you are a millenial now, please enjoy your Life. Because it goes by in a flash! I cannot believe it is the. anniversary of Close Encounters Of The Third Kind. If you have never seen it on the big screen, definitely go check it out. With Stephen Hawking’s recent announcement of possible communication with aliens, this is timely. Plot Summary: Science fiction adventure about a group of people who attempt to contact alien intelligence. Roy Neary (Richard Dreyfuss) witnesses an unidentified flying object, and even has a “sunburn” from its bright lights to prove it. Roy refuses to accept an explanation for what he saw and is prepared to give up his life to pursue the truth about UFOs. An all-star cast in comedic romantic situations this looks like a lot of fun. I do wish that instead of the stereotypical interracial black man/white woman relationship, we could have simply had a black hippie couple. But otherwise, this is just the sort of comedy we need to kick-off the fall season. Plot Summary: Recounts the story of three couples in Vero Beach, Florida at various points in their relationships. They become subjects of a documentarian’s film about how marriage is an antiquated idea that needs a reboot: Why not turn marriage into a seven-year deal with an option to renew? Truly terrifying but at the same time a poignant coming-of-age tale, It is one of the best movies of the year. 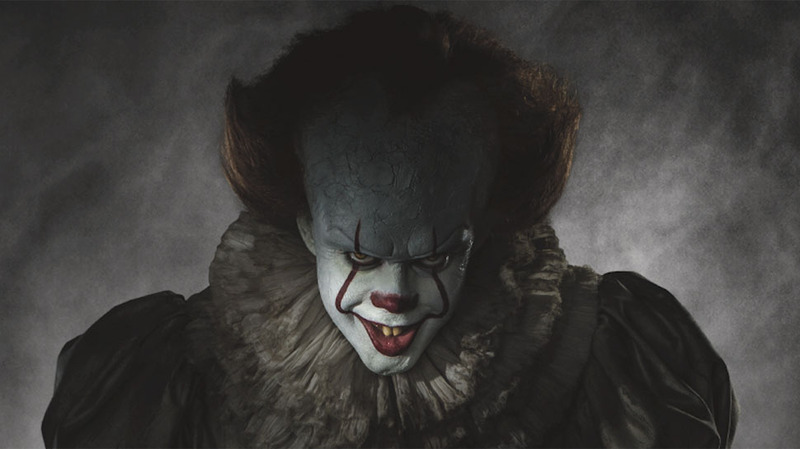 Bill Skarsgård brings a far more sinister presence to Pennywise than Tim Curry did in the 90’s TV miniseries. And you will never again be able to pass a gutter without thinking of the demonic clown. I was too scared to walk home the night of the screening. Now the highest grossing horror film of all time, this is not to be missed. Plot Summary: Seven young outcasts in Derry, Maine, are about to face their worst nightmare — an ancient, shape-shifting evil that emerges from the sewer every 27 years to prey on the town’s children. Banding together over the course of one horrifying summer, the friends must overcome their own personal fears to battle the murderous, bloodthirsty clown known as Pennywise. This is both in theaters and on-demand and I highly recommend it to anyone, who loves both period pieces and crime thrillers. Plus, I never miss anything with Bill Nighy in the lead. Plot Summary: Victorian London is gripped with fear as a serial killer is on the loose and leaving cryptic messages written in the blood of his victims. With few leads and increasing public pressure, Scotland Yard assigns the case to Inspector Kildare, a seasoned detective who has a sneaking suspicion that he’s being set up to fail. Faced with a long list of suspects, Kildare must rely on help from a witness to stop the murders and bring the maniac to justice. Some folks will find this movie a bit cheesy, but I loved it. It’s a lightweight gem that was the perfect way to start the weekend. Everyone in my audience loved it. And newcomer and Ashton Kushner lookalike, Pico Alexander is so hot the steam rose off the screen. Reese is adorable and Candice Bergen looks amazing. I will definitely buy this when it is on DVD as it will brighten up any dark day. SPOILER ALERT: I am including this film in this month’s movie guide because it has been so hyped, I don’t want you to make the mistake I made. “Mother!” is so awful that viewers should be paid to sit through it. Do not waste two hours of your Life on this pretentious nonsense. I wish I could unsee this film, which tops my list as the worst film I have ever seen, ever! Supposedly inspired by Polanski’s iconic “Rosemary’s Baby”, this cinematic mess lacks any real plot and is simply an exercise in weirdness that concludes with a baby ripped apart alive by a crowd and eaten and a mother’s heart ripped out after she is burned to a crisp. There is nothing scary about the film. It is just weird, boring and gross. The “Rosemary’s Baby” trailer below is far better than this film. Skip this. A young woman spends her days renovating the Victorian mansion that she lives in with her husband in the countryside. When a stranger knocks on the door one night, he becomes an unexpected guest in their home. Later, his wife and two children also arrive to make themselves welcome. Terror soon strikes when the beleaguered wife tries to figure out why her husband is so seemingly friendly and accommodating to everyone but her. A must-see for every fashionista and also every person that admires true genius. If you don’t love Manolos, you do not have a fashion pulse. Plot Summary: An in-depth portrait of master shoe designer Manolo Blahnik and a behind-the-scenes look into the world of the fashion icon. Plot Summary: When Cold War veteran Stan Hurley takes CIA black ops recruit Mitch Rapp under his wing, they receive an assignment to investigate a wave of random attacks on both military and civilian targets. After discovering a pattern of violence, Hurley and Rapp join forces with a lethal Turkish agent to stop a mysterious operative who wants to start a global war. This looks like a blast. With an all-star cast of Glenn Close, John Malkovich, Patrick Stewart, and Minnie Driver, I am definitely intrigued. I was looking forward to this film all year! I am mad for the Kingsman series, which is basically a James Bond for the tens. It’s silly and lags a slight bit at times. But it’s action packed fun from the very first second and includes a goofy appearance by Sir Elton John! Plot Summary: With their headquarters destroyed and the world held hostage, members of Kingsman find new allies when they discover a spy organization in the United States known as Statesman. In an adventure that tests their strength and wits, the elite secret agents from both sides of the pond band together to battle a ruthless enemy and save the day, something that’s becoming a bit of a habit for Eggsy. After last year’s open display of bullying misogyny on the campaign trail re-opened the sexist wounds we thought had long been healed, this movie is aptly timed. The Billie Jean King vs. Bobby Riggs tennis match represented so much more than a mere game to ’70’s women. It was literally good/female equality against evil/sexism. Plot Summary: The 1973 tennis match between Billie Jean King and Bobby Riggs became the most watched televised sports event of all time. Trapped in the media glare, King and Riggs were on opposites sides of a binary argument, but off-court each was fighting more personal and complex battles. With her husband urging her to fight for equal pay, the private King was also struggling to come to terms with her own sexuality, while Riggs gambled his legacy and reputation in a bid to relive the glories of his past. Judi Dench once again turns in an Oscar-worthy performance in this amazing true story about the unlikely friendship between an aging Queen Victoria and 24-year old Indian man, Abdul Karim. The backstory of how this story even came to light is also fascinating. No one knew of the depth of Karim’s friendship with the former Queen until many years later, when in 2010, Karim’s diaries outlining his many conversations with the Queen were found. Plot Summary: Abdul Karim arrives from India to participate in Queen Victoria’s golden jubilee. The young clerk is surprised to find favor with the queen herself. As Victoria questions the constrictions of her long-held position, the two forge an unlikely and devoted alliance that her household and inner circle try to destroy. As their friendship deepens, the queen begins to see a changing world through new eyes, joyfully reclaiming her humanity. Jake Gyllenhall is one of the most talented and versatile actors working today. He is the reason to see this bio pic on Jeff Bauman, an American hero. Plot Summary: Jeff Bauman loses both of his legs when two bombs explode during the Boston Marathon on April 15, 2013. After regaining consciousness in the hospital, Jeff is able to help law enforcement identify one of the suspects, but his own battle is just beginning. With unwavering support from his family and girlfriend, Bauman embarks on a long and heroic journey to physical and emotional rehabilitation. Could be a great film could be another disappointment, like “Mother!”. But I will still see this because of Kirsten. Plot Summary: Haunted by a profound loss, a young woman remains torn between her fractured emotional state and a potent drug that alters her reality. This looks like scary good fun. I can’t wait to kick off the Halloween season with this one. Plot Summary: Laura is a popular college student who graciously accepts an online friend request from Marina, a young social outcast. To everyone’s shock, Marina takes her own life after Laura decides to unfriend her. Soon, a disturbing and mysterious video appears on Laura’s profile and her Facebook contacts slowly dwindle. When her friends suddenly begin to die one by one, the frightened young woman must figure out a way to stop the carnage before it’s too late. Stellar performances from all of the cast and a riveting and a believable tragic crime story make this a September must-see. I loved this modern noir, which is director Kevin Phillips debut. His career trajectory will be one to watch. Plot Summary: Teenagers Zach and Josh have been best friends their whole lives, but when a gruesome accident leads to a cover-up, the secret drives a wedge between them and propels them down a rabbit hole of escalating paranoia and violence. Riveting true CIA drug story with Tom Cruise at his best, I am very excited about this one. The 80’s version of this film was terrific, so I am hoping that the remake will prove equally great. With the ability to create far better special effects, it should be. Plot Summary: Five medical students embark on a daring and dangerous experiment to gain insight into the mystery of what lies beyond the confines of life. The bold adventure begins when they trigger near-death experiences by stopping their hearts for short periods of time. As their trials become more perilous, each must confront the sins from their past while facing the paranormal consequences of journeying to the other side.